It’s inevitable. If you’re keeping up with industry news, you will come across reports about the decline of email. And you’ll probably find at least as many reports refuting those claims. In order to separate fact from fortunetelling, Return Path partnered with Ascend2 to survey business leaders and marketing decision-makers for a true insider’s view of the state of the email industry. The research compiled in our 2017 Email Marketing Performance report reveals how key marketing influencers see email marketing performance changing, and the steps they’re taking to achieve success. Here are a few key insights and takeaways to consider for your email marketing strategy. Email marketing continues to dominate the digital marketing landscape in terms of performance. Over 85 percent of respondents report that email marketing performance is increasing, with over half (58 percent) describing the increase as significant. 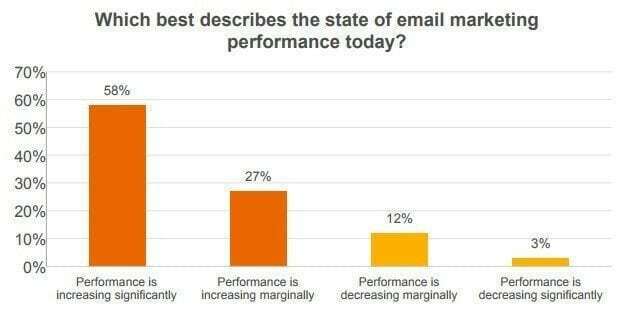 Key takeaway: As email performance continues to increase, marketers should invest in the channel; leveraging tools, technolog, and data to increase email’s value and relevance for subscribers. At the same time, marketers should also consider the holistic customer experience and how email fits within the overall contact strategy. Even as other messaging platforms emerge, email continues to triumph. 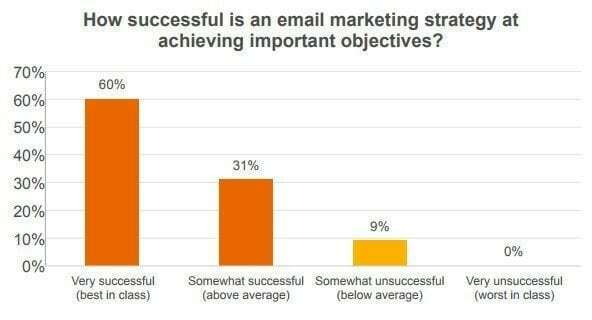 An overwhelming 91 percent of email leaders consider their email marketing strategy at least somewhat successful at achieving important objectives. Meanwhile, six out of 10 describe their success as best-in-class. Key takeaway: Email marketing delivers excellent ROI, and as a result, email volume is growing exponentially. In order to sustain maximum performance, messages need to be personalized and relevant to the subscriber to combat inbox fatigue caused by the overall increase in email volume. Email isn’t all sunshine and roses. 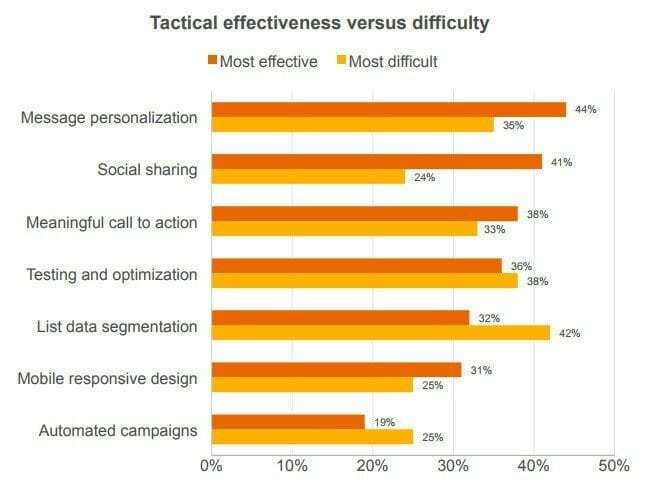 Respondents reported some of the most effective tactical email efforts as also being the most difficult to implement. 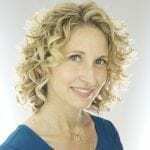 For example, message personalization was cited as the most effective email tactic (44 percent) but more than a third of those surveyed also consider it the most difficult to execute. Key takeaway: When it comes to innovation, perfection can lead to paralysis. Look for opportunities to test effective tactics without focusing on getting everything right. Optimization is about evolution, not revolution. For more insight on the state of email marketing, read the full report. And to find out how small changes to your email program can drive huge performance gains, be sure to read Return Path’s Era of Optimization report. Questions About Gmail? Ask The Experts in Our Upcoming Webinar!